Oakland Raiders recruit Antonio Brown said it is an honour to join the "legendary" NFL franchise. Star wide receiver Brown was unveiled by the Raiders on Wednesday after being dealt by the Pittsburgh Steelers. 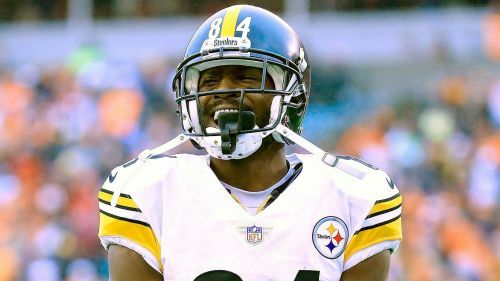 Brown signed a three-year, $30million deal as the Steelers received third and fifth-round picks for the seven-time Pro Bowler. Facing the media midweek, Brown told reporters: "It's legendary. It's an honour to be here. I know there's some tremendous guys who've been in this building. "I'm just excited to be in the same building as guys who've been great from the past and I'm excited to be here and help these guys go to a level as far as a winning environment." "I bring accountability," Brown continued. "I bring actions. Not what I say, what I do. How I approach things. Holding guys accountable in the receiver room." Brown – who was drafted by the Steelers in 2010 – added: "Pittsburgh will always be my family. Those guys gave me a chance when I was a 21-year-old kid. Obviously people listen to the things that were being said and written, but at the end of the day, it's all about how you make people feel. After working with star Steelers QB Ben Roethlisberger, Brown will now team up with Derek Carr. "Just refreshing," Brown said. "I think he's hungry for success. Hungry to turn the organisation around, hungry to get on the winning side of things. And I'm hungry for the same things. We stand for the same causes – God-fearing men, family-first type of people – and we just want to be the best at our craft." Raiders head coach Jon Gruden said: "We don't want to have a good receiving corps. I want to have the best receiving corps in football and I think to have the best, you've got to have the best. In my opinion, we acquired the best receiver in football."